Spray muffin pan with non stick spray or line with cupcake liners. 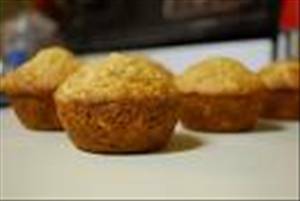 There are 132 calories in 1 serving of Oatmeal Muffins. Calorie split: 14% fat, 68% carbs, 18% protein.